When duos split up, there’s usually only one breakout star who goes on to any semblance of a successful solo career, with the public casting its vote with its dollars and chart showings, making it clear to the duo who the real star of there little group was. Hall vs. Oates, SImon vs. Garfunkel, Michael vs. Ridgeley, Bill Medley vs. Jim Righteous, etc. I don’t think anyone is going to argue that the biggest talent in Carpenters (no definite article, it’s just Carpenters, which was intended to sound cool, not silly and pretentious) wasn’t Karen Carpenter, whose voice was evanescently beautiful and heartbreaking even before she tragically died while recovering from anorexia at age 32 in 1983. 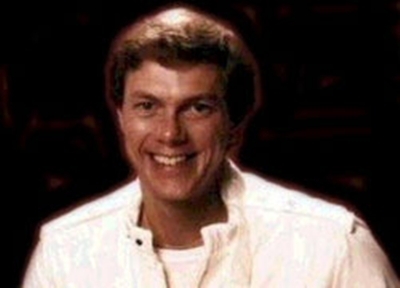 But with her unable to go on to an ’80s soft rock solo career—she was working on a solo album just before she died and she would have been a huge star, at least on adult contemporary radio—you’d think the public might give her goofy, piano-playing brother Richard Carpenter a respectful shot. He probably shouldn’t have waited four years to have a go at it. Richard Carpenter erred on the side of caution for his solo debut and presented himself in the familiar, Carpenters motif by getting a charismatic, stunningly talented lady singer to sing while he played, which was Dusty Springfield, one of the most beloved pop singers ever. It should have marked a new era for him and a comeback for her. Actually, it makes sense this wasn’t a hit, as it’s supremely schmaltzy, totally generic, and is a dated relic harkening back to a time when bands like Carpenters ruled the radio. Not even the recent cheesy-pop-for-cheesy-Adults smash “Friends and Lovers” by Gloria Loring could propel Richard Carpenter and Dusty Springfield into chart success. It’s biggest success was as a moderate hit on the AC radio chart. Richard Carpenter presumably consoled himself with his giant pile of publishing royalties and supportive wife, who is also his cousin. True story.